00:01 Hey, guys. It's Aniel here from Electric Enjin in the new Electric Enjin headquarters. We're excited to be here. Definitely check us out on Instagram to see what else we do to the place. We're just excited to be in a new place. Stop by, check it out. 00:15 But today I'm here to talk to you guys about your check-out process and how we can enhance the user experience. 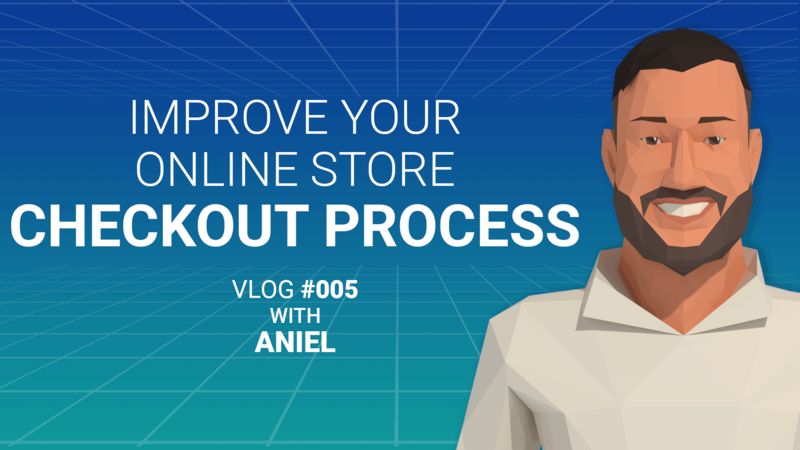 Last video we spoke about driving traffic to your online store. Now I want to help you close that deal and get that sale. I like to work in countdowns or tips, so I've got three things for you. 01:22 Number two. Security. Make sure you're hosting your website securely. If you look up at the top of the address bar, https is what you want, right? Get the SSL certificate, which means that your site is validated and went through stringent process to prove that you have a very secure website. More specifics, if you want details on that definitely message us. But the reason to do that is two-fold. On the browser side, and Google's leading the way with this. With Chrome, as of last month, Chrome 68, every site that's not https or secure is gonna be flagged with that big red not secured on top. You don't really want that. Not sure if your customers are really gonna trust you when they go to the site and it says not secure, especially if they're putting their personal and financial information there. So, be aware of that. Your site's already gonna be flagged, so that's very important there. 02:15 Also, the second part is that SCO. As I said with Google, they're prioritizing secure sites so when somebody searches for that same content, the more secure site will get the nod over the non secure ones. It'll boost your SCO, it'll build trust with your customers giving away that information. So, you want to make sure to get that SSL certificate. 02:37 And tip number three is we want to streamline that check-out process. If you can, make it one page. Nobody wants to jump through hoops to make a purchase, right? They're already excited. They found a product. This is the one for me. Great. Let them buy it, right? Just make it very simple. One, two, three, four. If you look at Amazon, look at Wal-Mart, they have a very simple checkout process. It's all one page and it's just very sequential. Enter your name. Oh, is this ... You don't have to skip through multiple things to get to what you want to buy. And also, when the customer is there you want to make sure that you have multiple financial options for them. There's Apple Pay, Samsung Pay, MasterCard Masterpass. I think there's like Chase Pay, Visa Checkout. There's literally everything now so have multiple options for them. You never know what their preference is. Obviously, PayPal, those types of things. That'll just make it easier for them to check out. Just another way to make that check out process even easier. 03:32 All together, those are the three tips. Number one, cart abandonment. Make sure and take advantage of that. Number two, which feels like a very, very important ... Make sure your site is secure. Get that SSL certificate. And number three, on the check-out page, make it as simple as possible. Make sure it's one page and you have multiple ways for the customers to check-out and pay. If you haven't checked out before ... I keep saying check-out, right? But if you haven't seen it before, go see our video on driving traffic to the site. It's available on our Instagram and YouTube. Definitely check out the other guys, Noel and Dennis, speaking about progressive web apps and whatever Noel talks about. Follow us on Instagram, YouTube. Leave comments below. Until next time, I'll check you guys later.